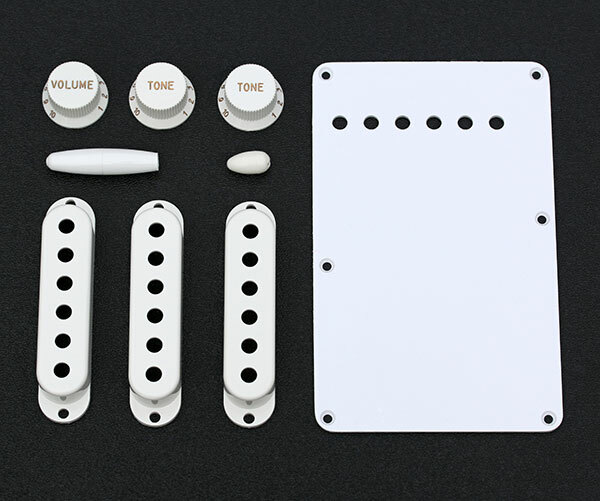 Genuine Fender® Pure Vintage 1954 Stratocaster® White Accessory Kit. 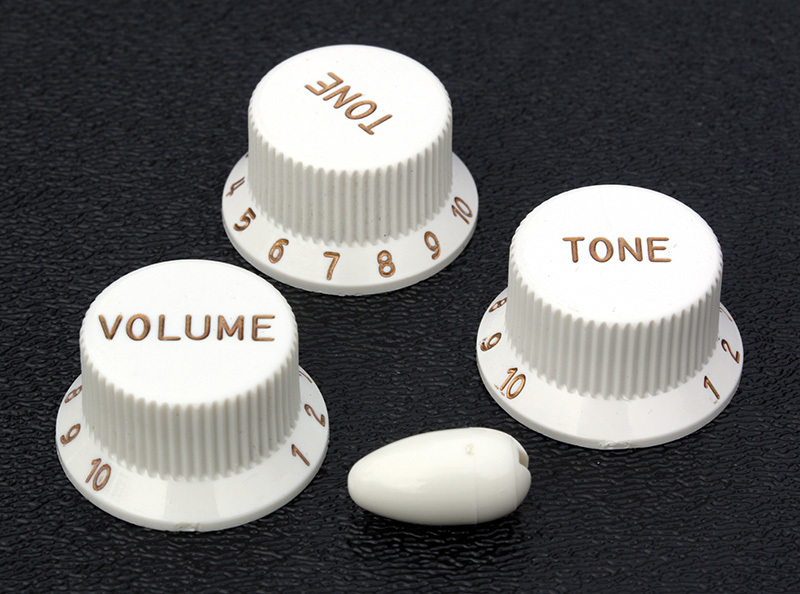 Includes white-colored polystyrene tone and "Tall Boy" / "Small-Skirt" volume and tone knobs, pickup covers, tremolo arm tip, "Football" switch tip, and back plate. These are the exact same accessories used on the 2014 Limited Edition 60'th Anniversary 1954 American Vintage Strat®. Every detail of the original 1954 accessories was reproduced for this replica set. 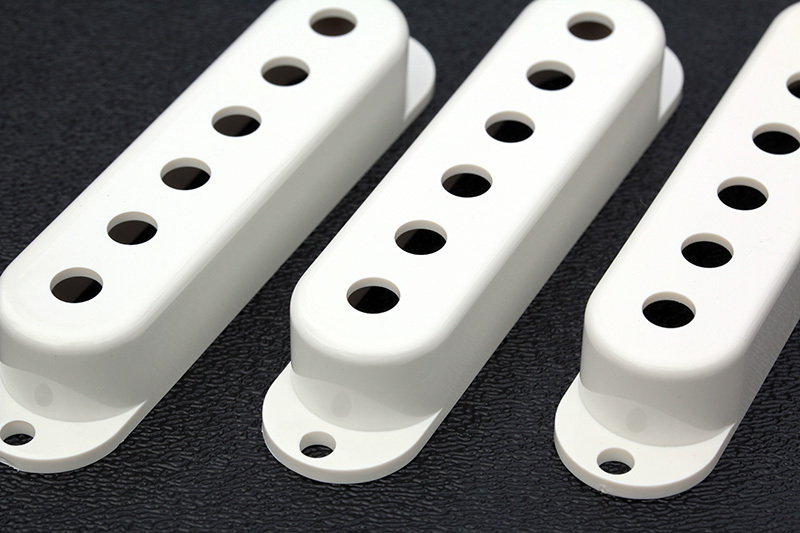 Pickup covers will not fit any of the noiseless pickups. "Tall Boy" / "Small-Skirt" style of the 1954 knobs and "Football" shaped selector switch tip. Under-side of the 1954 style knob set. Rounded edge of the 1954 style pickup covers. 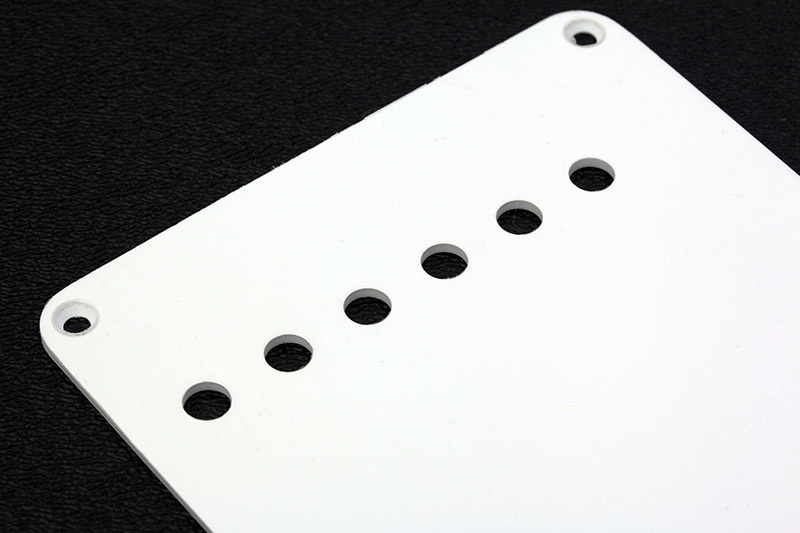 Circular string pass-through holes in the 1954 style back plate. 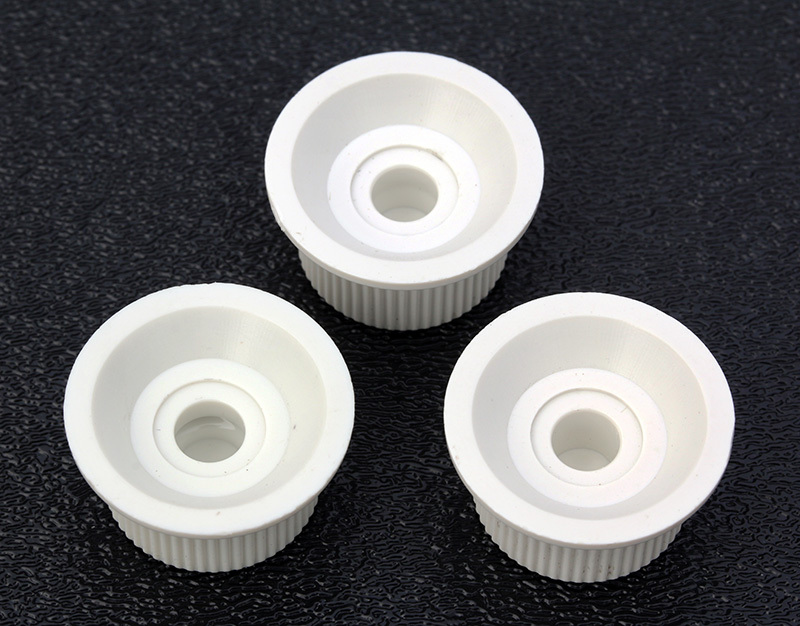 The back plate is much whiter in color than the rest of the accessories in this kit. 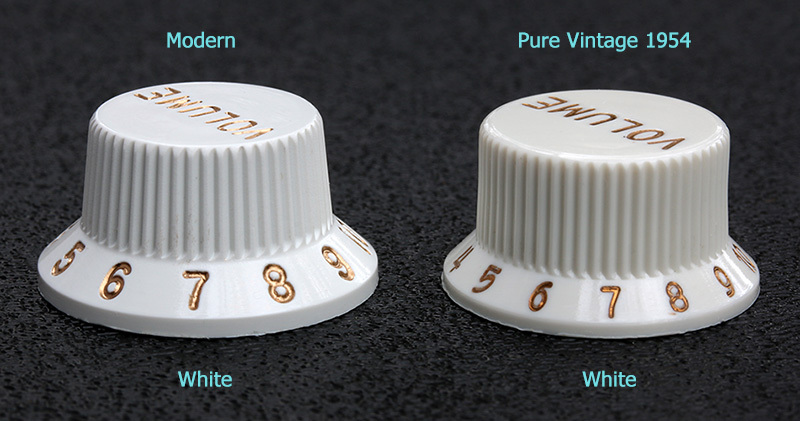 Comparison between Fender's modern knob shape and the Pure Vintage 1954 style. You can also compare the color differences between the two, they are both described as "White", but as you can see they are not the same. The Pure Vintage 1954 are more of a light Parchment.